I began taking my daughter to the library when she was only a few months old. I registered her for free baby time classes where the librarian led us through bouncy rhymes and songs and read us an occasional book. The best part of the class was free play when the librarian got out toys and the babies had free reign with the nesting cups, rubber ducks and cloth balls. It was a great opportunity for my daughter to socialize with the other babies. 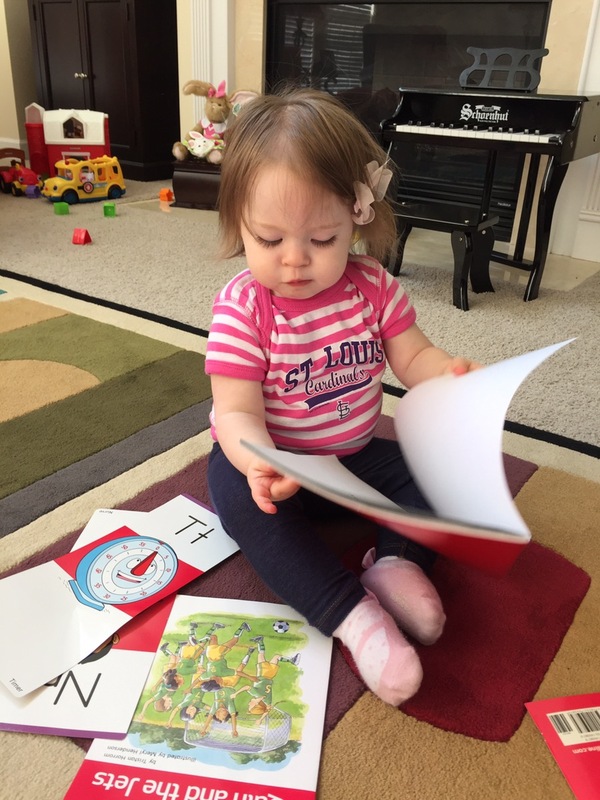 Although I may have begun taking my daughter to the library to increase her social skills and to help foster a love of reading at an early age, it wasn’t long before I realized I was benefiting from our library visits too. During the free play I began talking to some of the other mommies. There were five of us who were all first time moms and we all had baby girls a few weeks apart in age. We had a lot in common as our girls were going through the same developmental stages around the same time. We were all sleep deprived together, battling teething and diaper rash simultaneously and after class we found ourselves staying a bit longer and extending free play into the childrens section of the library. We also began looking out for each other. When I was running late and stumbled into class without makeup and with my hair piled on top of my head, they would greet me with a warm relatable smile and scoot over so my daughter and I would have a place to sit in the circle. We exchanged phone numbers and continued our conversations outside of the library by texting each other during nap time. When the girls approached their first birthdays we celebrated together and we began planning play dates and taking our girls to additional classes outside of the library. We recently had a Friday night pizza play date where the daddys met each other. It is clear to see that we were becoming friends. What makes our mommy group amazing is the diversity each of us brings to the group. Although we have a lot in common (when it comes to being a mommy) when you look past the sippy cups, board books and toddler melt downs, we have vertually nothing in common. We do not live in the same neighborhood, attend the same church, or practice the same religion. We did not grow up together, attend the same schools, or have the same professions. We are not the same age or even the same generation! I am the senior member of the group since I had my daughter later in life and I recently discoved that another mommy in our group has a mother that is younger than me! Although her mother was a teenage mom, it took me awhile to get over the fact that her mother is younger than me. But it doesn’t matter. It didn’t stop Halley from inviting me to a girls night out, including me in the mommy group and always offering up the kindest greeting and welcoming smile at every class we attend together. She and the rest of the mommies are naturals when it comes to motherhood and it is easy to see how much we all love our little girls. In fact, I have learned a lot from the other mommies and I quickly realized age is just a number. Everyone in our group is loved and accepted no matter what. Our differences are celebrated and there is no judging. Absolutely no judging. And with all of the judgements that are often passed around in the mommy world: breastfeeding vs. formula feeding, stay at home mommy vs. working mommy, cloth diapers vs. disposable diapers and so on, I find it refreshing that our group does not judge each other. In fact, when I reflect on my 44 years of life, this is one of the only groups where I have not felt like others were questioning me or judging my looks, actions or decisions. Our girls are growing up quickly and I know there will come a time when we will stop attending classes at the library. Life’s circumstances will change: the girls will start preschool, siblings will be added to some families and some of us may move away. No matter what will happen in the future I will never forget the special bond that I shared with Halley, Ashley, Chelsea and Jen during our daughters early years. I will always cherish the love and support they offer to me and my daughter and when our visits to the library come to an end I know I will have lifelong friends who are only a text message away. Jennifer, thank you for truly making my day. Your kind words have brought a smile to my face and tears to my eyes. “It takes someone really brave to be a mother, someone strong to raise a child, and someone special to love someone more than herself”. This is exactly what each and everyone of my mommy friends are. “Judgment is only an opinion not a fact. Opinions only matter if you left them. I smile in confidence knowing I may not be perfect , but I am a good women, a good mother, and a good friend”. My heart overfills with joy knowing I am surrounded by such amazing women and mothers. I couldn’t ask for a better group of gals to share watching the world with through our daughters eyes. So much of my identity rest solely on being my daughter’s mother. I also Jen, have never felt so confiendent in my own skin than I do now. Thank you all for being such amazing people to Hannah and I, we both have truly found lifelong friends.